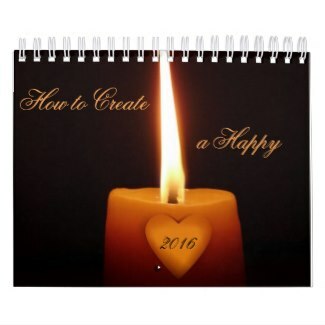 Are you still making resolutions at the beginning of each year? Or have you given up the practice because you find yourself feeling worse when you break them… again? From stopping smoking, eating more healthily, and starting a new exercise routine to taking more action towards your goals and responding differently when your buttons are pressed, of the resolutions you’ve made over the years, can you remember how many you’ve been able to keep? How long did they last? There’s a key piece of information that can help you to not only understand why you keep breaking your resolutions, but what you can do to make sure that you make those transformations permanent this time! It may seem like you are making your choices and decisions consciously in the moment; but the truth is, it is your subconscious that prompts your body to cause you to make decisions based on programming. If you are used to eating potato chips when you get back from work in the evenings to comfort and reward yourself for a hard day’s work, you are no longer making that choice consciously. Your brain is now wired to signal your body to prompt you to choose the potato chips when you get home. You will find that your body is expecting that snack at that time. There is a physical connection in your brain between the time, the environment, and that particular food. If you find you tend to feel anxious when you are faced with having to make a presentation, the anxiety you feel at that time is not unique to that moment. Through past experience (often experience you have consciously forgotten or would not notice a connection to) your brain has connected the act of speaking in front of a group, or having people watch you, or being the centre of attention (or other aspects of the activity) with being at risk or threatened in some way. The feeling of anxiety is your body’s “fight, freeze or flight” response; and as far as your body and brain are concerned the prospect of making the presentation is every bit as much of a threat to your life as a real life predator. Your conscious mind knows that making the presentation won’t kill you; but your subconscious mind is unable to reason, and is programmed to signal your body to respond with this emergency state in this situation. If you find it difficult to motivate yourself to exercise regularly, and you find you have to force yourself to get out for a run or to go to the gym, again this response is not unique to that moment. There is a connection in your brain between exercise and something negative. The specific negative state that is connected to the idea of exercise will be unique to you and your life experience. But you will find that no matter how determined you are, how much will power you use, and how many steps you take to stick to your decision, your brain and body will eventually convince your conscious mind to give up. Certainly, you will never consistently look forward to that exercise – unless, of course, you change the programming. The great news is: The programming can be changed. It can be changed fairly quickly and easily. The even better news is: Once you change the programming, you will automatically maintain the new behaviour and choices. You won’t have to force yourself, you won’t need to use will power or determination, or any other methods of making yourself do something you don’t want to do, or stopping yourself from doing what you desperately crave to do. Changing the programming will mean you feel the same urge to do the new behaviour that you felt to do the old – because your subconscious will now be signalling your body to prompt you to want to do the new behaviour. In other words, you will find yourself disinterested in those potato chips, but really looking forward to going out for that run! Trying to stick to New Year resolutions without changing the way your brain is wired is like trying to push a shopping cart with a wonky wheel – you know, the one that keeps veering off to one side when you’re trying to push it in a straight line? As long as that wheel is wonky, you’ll need to fight with the cart to keep it going in the direction you want it to go. The fastest, easiest way I’ve found to reprogram those subconscious patterns is a combination of the Superpower Exercise and FasterEFT – using these two techniques together is incredibly effective! On Sunday the 24th January you will be given the keys to get into the driver’s seat of your own life! Note: You will not need to share your challenges with the group in order to get results! Numbers limited to 15 attendees, so book early. 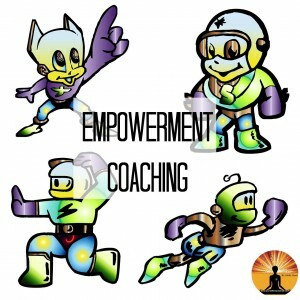 * If you are unable to attend the workshop, you can get personal help by booking Empowerment Coaching, an Empowerment Party, or hosting a workshop in your own area (use the contact form to ask for more details on this). You have more power over whether or not your Christmas is enjoyable than you may think. 1. Where you put your focus determines the way you feel. Start to notice what you’re thinking about. This is called meta-cognition, and is one of the benefits of being human – we are able to observe ourselves thinking and feeling, which gives us the option to choose to change those thoughts and feelings. Each time you find yourself thinking about how things used to be, wishing things could be different, thinking about what you’re missing out on, or how things could be different, stop and choose to change your focus. Right there, in the moment. Choose to use the Superpower exercise and/or the FEFT technique to clear those thoughts and feelings and transform your emotional state to happy. It is a choice. Even though it may not feel like it, you absolutely have the power to choose to think about how cosy you are, how much you appreciate the good things in your life, how much you’re looking forward to seeing a particular movie, how much you’re enjoying a particular book, how much you love a specific song, how relaxing that bubble bath is, how exhilarated you will feel after your walk or work-out, how much you love your pet, how wonderful it is to have electricity and a computer, how many uplifting and funny YouTube videos are available for you to watch… and so on. It may feel difficult at first because you’re feeling the effects of the stress chemicals in your body that make you feel sad, or lonely, or frustrated, or anxious, or upset, or hurt, or other damaging emotions; but if you decide you want to feel better, you absolutely have the power to do so. Change your focus, and your body and brain will follow, and will produce the endorphins and other “feel good” chemicals that will change the way you feel. You are in control. Use your Power to make this your most enjoyable Christmas yet – regardless of what is going on around you! These few tips will help you to increase the fun, love and joy in your world throughout this season, regardless of what those around you are doing! 2. Practice the Superpower Exercise to keep yourself in a state of compassion – this will have a knock-on effect on how you respond to stress, how you communicate with others, the decisions you make, how creative you are, and all other areas of your life. 3. When you are facing challenges, take a moment to gain your perspective. Remind yourself that only you can create and attract in your life, and remember The Magic Pill – you cannot create or attract anything bad in your life; so, no matter how bad something may appear, it HAS to turn out to be either good, or at the very least, nothing to worry about. 5. When you find it difficult to feel good, or to move past something, or to change your focus, use the Faster EFT technique to let go of the patterns and beliefs that are holding you in place; this will allow you to let the unconditional love and compassion in. In the aftermath of the terrorist attack in Paris, many people are feeling fear, frustration, helplessness, anger, and a range of other emotions that are spurring them on to take some kind of action to fight the threat of further tragedy. For many, there is a lot of swinging between being the light, and being drawn into the darkness. In other words, for many people there is a significant contradiction between what they believe (love, peace, kindness and compassion) and what they end up focusing on (fighting the threat). Regardless of the action you may or may not choose to take, the Key is how you feel! If you are feeling positive and happy about the result you plan to achieve through your action, then you are heading towards happiness; if you are feeling fearful and you are acting out of that fear, you are headed towards more reasons to feel fear. 1. The remote control to “out there” is inside you. This may seem absurd at times; but, if you think about it, you are the only constant in your life. Whatever you experience, you are there. And you are the only part of your experience that you truly have control over. You are holding the remote control to your life inside you – no matter what is happening around you. For a more detailed explanation on this, read: You’re Sitting on it! 2. Every moment of human consciousness is a choice; even if it’s just a choice of where to put your focus. 3. You get what you focus on. Wherever you are focused in the moment is where you are going. Focusing on something is facing in that direction – when you move, you move in the direction you are facing. 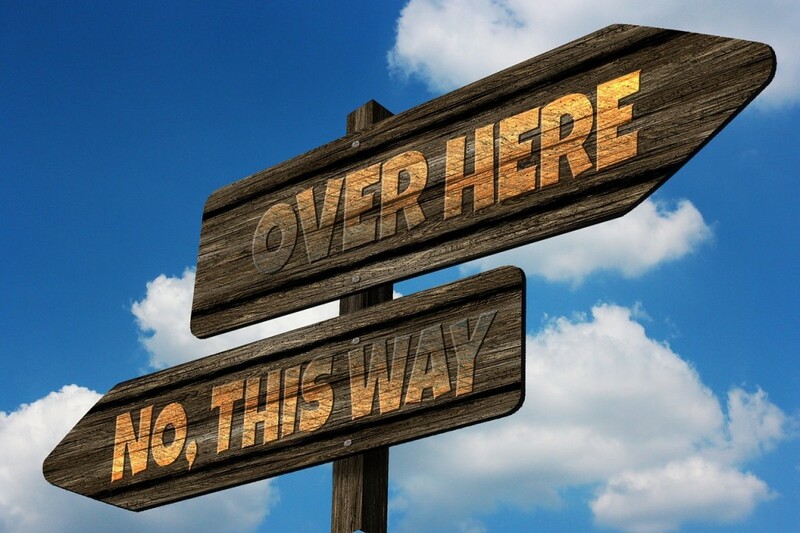 If you are looking left and try to walk right, you will eventually bump into something or fall over… and you will certainly not get very far in the direction you want to go. If you want to move north, you need to turn to face north. If you want peace, you need to put your focus on peace. If your focus is on revenge or fear, or on taking action against something, you are moving towards those experiences, and you will end up with more of that particular situation. 4. Only light can transform darkness. Darkness cannot survive in light; but a light can shine in the dark. If you want to make a difference in the world around you, you need to use the controls inside yourself. This means controlling your own focus, and doing whatever it takes to stay in a state of love, compassion and kindness. You will find the Superpower Exercise very effective for developing the ability to manage your emotional state. If you do want to take action you believe will help in some way, be sure to check how you’re feeling – how you are feeling will tell you where your focus is. You are headed in the direction you are facing – where you put your focus is where you are facing. What about the “bad guys” and the threats? 1. Get involved and take physical action. Go over and help the victims and their families, or join the fight. And if this is the experience you would like to have, then you will want to face in that direction. 2. Face in the direction of the tragedy, the threats, and all the terrible things that are happening and could happen, without taking any action. This is also a choice, of course. And if you make this choice, you will move towards more of that experience. In other words, if you are focusing on fear, anger, resentment, frustration and other negative states, your health and the rest of your life and those around you will suffer the effects of those negative emotions; and feeling those emotions will not create more security or safety. 3. Face in the direction you want to go. Focus on becoming what you want to see in the world – compassion, kindness, love, fun and joy. 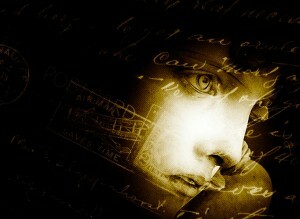 You may not change the experience of those who have chosen the other options, but you WILL change your own experience. And you will also have a ripple effect on those around you. What about the ones who want to fight? It is worth remembering that every person has the right to choose their focus… and as a result, their experience. There are those around you who want to fight the threat; and that’s okay – for them. It doesn’t mean you should fight too. Some people like horror movies. Those who don’t like horror movies very often can’t understand why someone would do that to themselves; and the person who doesn’t like romantic comedies may feel the same about the people who enjoy that genre. One of the most empowering things you can do for yourself is to make your own choices while allowing others theirs. Developing the ability to put yourself into a physiological state of unconditional love through practice will allow you to feel confident, safe, and secure, and comfortable with allowing others to make their own choices while sticking to yours. 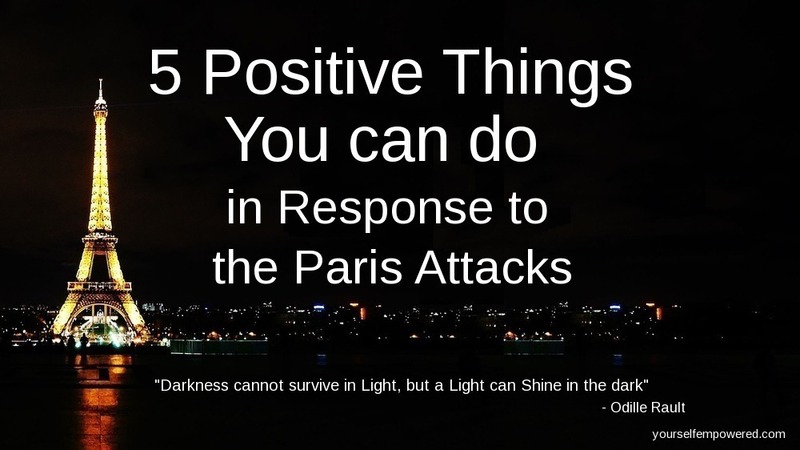 The attacks in Paris last night have shocked and shaken people all over the world; and the tragedy has resulted in a range of powerful emotional reactions. Here are a few points to consider in your own reaction, followed by five things you can do in response to these events, that are positive and productive. Reading about the attacks, watching the news, listening to commentary, and participating in social media discussions means your focus is on the tragedy and all of the aspects of that tragedy. 2. Stop reading about what happened in Paris. It can be difficult at first because you may feel compelled to read about it (use the Faster EFT technique to clear that compulsion too!) Stop watching the news reports, discussing it, and participating in social media discussions about it. None of these actions is helping the situation or the victims; but they are causing damage to you. 3. Spend some time getting yourself into a loving state by using the Superpower Exercise (you can find out how to do this at yourselfempowered.com/exercises-and-techniques) and then send that love to Paris – allow it to fill the whole city, and every person in it with that love. 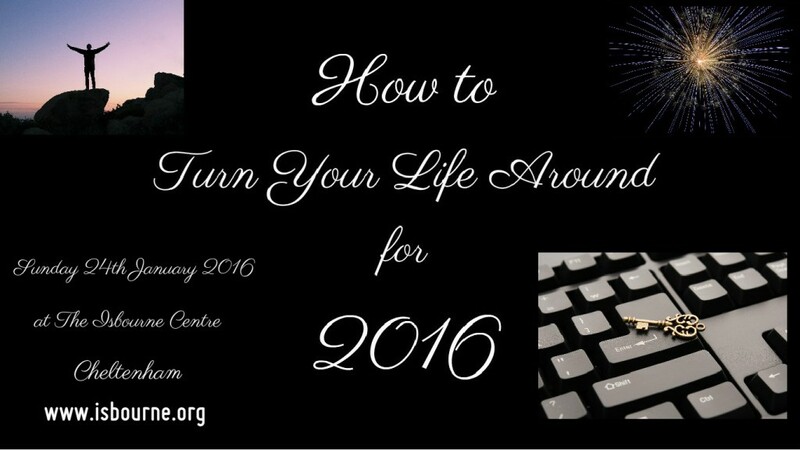 This will be beneficial whether you are spiritual or an atheist – or anything in-between! If you believe in something beyond the physical, you are sending a powerful positive energy where it is needed – you are shining light into darkness; if you do not believe in anything beyond the physical, you are, at the very least, allowing your body and brain to dilute the harmful stress chemicals with endorphins – you are changing your physiological state… which have a knock-on effect on all areas of your life and those around you. 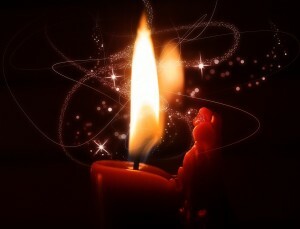 Darkness cannot survive in light; but a light can shine in the dark. Shine your light! Deepak Chopra’s Compassion Event – What’s in it for YOU? But, what’s in it for you? At last year’s Global Compassion Meditation, the attendance was over 140,000 – making it the largest online meditation gathering in history, and earning it a Guinness World Record – with people from almost every country in the world taking part. This is, naturally a wonderful contribution to the world in general… however, the great news is that by consciously being in a state of compassion, you are changing your OWN life experience! 1. The way you feel sets your vibrational state – which determines what you are creating and attracting to yourself, on an energetic and quantum level. While you are in a state of compassion and unconditional love, you are attracting only that which is a match for that state. 2. The way we feel about ourselves determines our experience of the world around us. The circumstances, situations and people we encounter and experience in our lives are a reflection of the beliefs we have about ourselves, and how we feel about ourselves. While you are feeling compassion for yourself, you are projecting an example for the world around you to follow. 3. While you are feeling unconditional love, kindness and compassion, your brain is producing “feel good” chemicals. Apart from making you feel good, these chemicals have a powerful effect on the body – boosting the immune system, lowering blood pressure, diluting stress hormones, boosting healing… and so much more. These are just three ways in which you will personally benefit from using your Superpower to contribute to world peace! There are many more! 1. Sign up for the event on Deepak’s page below. 2. On Saturday, July 11th, just before 9am PT (find out what that will be in your local time, here: Time Zone Converter log into the site. 3. Use the Superpower Exercise to tune in to your power and to fill all of the cells in your body with that light, that energy, that unconditional love. 4. Maintain that state while you follow along with Deepak’s meditation. If you lose the feeling at any point, just go back to the beginning of the exercise. 5. 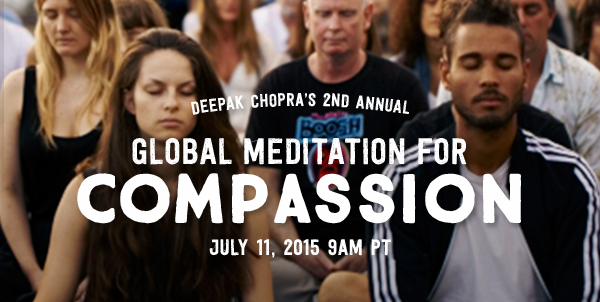 Enjoy the energy and power of hundreds of thousands of like-minded people all over the world, tuning in to compassion! There is an FAQ page if you have any questions regarding the event; and you can also ask any questions you may have, in our Unconditional Love Forums. How YOUR Heart Affects Reality! 15 minutes after the first plane hit the World Trade Centre on the 11th of September, 2001 the American GOES satellites that measure the magnetic fields of the earth and send back readings every 30 minutes showed a massive spike in activity. This spiking continued as the news travelled throughout the world. These readings showed that the emotions felt by people responding to the news directly affected the electromagnetic field of the earth itself! In this video, Gregg Braden explains how . 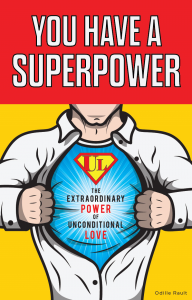 Using the Superpower Exercise to maintain a state of unconditional love is directly affecting the world around you! 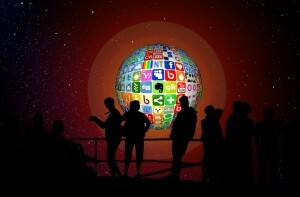 Are You Using Social Media to Share Light or Darkness? If you are thinking positively, and focusing on feeling good, and yet you are still not experiencing the life you desire, take notice of your social media activity. What are you posting? What you are sharing and commenting on in social media is where you are putting your energetic focus in that moment. Considering we feed whatever we focus on, it makes sense to make sure that our focus is only on situations and circumstances that match what we want. If there is something happening in the world that you are not happy about, if there is something you can physically do to change it (donate money, run a rescue mission, or run for office, for example) that’s great. However, if you can’t physically change it, posting about it, commenting on it, and sharing it with others is only feeding the darkness with more darkness. 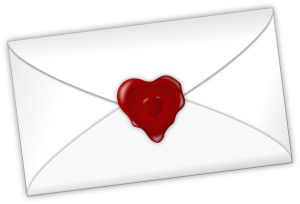 Taking some time to send unconditional love to the situation and everyone involved will help to shine light into the darkness. Sending unconditional love to a situation will do infinitely more to help, than focusing on how terrible it is. So, the next time you come across a petition or a post that focuses on anything that you don’t want, instead of spreading that negativity, take a moment to tune in to the power of unconditional love, using the Superpower exercise; fill yourself with that power first, and then aim it at that situation and shine your light! Remember, you are feeding what you are focusing on. Only feed the good stuff. 1. Once you’ve given the person the information that their emotional state is directly affecting their health, don’t mention it again. Trying to convince them doesn’t actually convince them; in fact, it can cause more stress instead, and can cause them to automatically and instinctively “dig their heels in” even more. 2. Be the example. People learn from experience and example far more than they learn from being given information. Shine your light, and theirs will slowly be coaxed to come out too! Here’s a good guide for this: Whenever you find yourself wanting to give your loved-one advice (for example, “don’t be stressed” or “stop worrying” etc.) stop yourself from saying the words; and instead of saying it, demonstrate it by doing what you would like to say. In other words, instead of saying “You need to stop worrying…” take a deep breath, fill yourself with unconditional love, smile kindly, and relate to the person as if they are already calm and happy. If you behave as if your loved one is being just as you wish they would be, eventually they will start to “tune in” to you instead of the other way around. Just like a tuning fork – make your love, calm, joy and humour the strongest vibration in the room, no matter what is going on, and everyone else will eventually begin to pick up that note. If you find this difficult at first, use the Superpower Exercise (you can find it on my website yourselfempowered.com) and that will help you to get yourself into a state of unconditional love and calm regardless of what is going on around you and regardless of your loved one’s current emotional state. 3. Take every opportunity to share funny stuff with your loved one, but without telling them it’s for their health of course. 😉 Just share things with them that you know they’ll find funny – YouTube videos, something funny that was posted on social media, something you heard or read. But, very importantly, don’t expect them to laugh. I know that sounds odd because of course you want them to laugh, but know that the person may not feel like laughing – and that’s okay. Keep sharing the funny stuff with them, with no expectations or pressure, just as you would give someone a gift because you love them, without expecting anything in return. This will make a big difference to them beneath the surface; and that will slowly affect them on different layers and levels. 4. Whenever you think of your loved one, and especially when you think of the frustration you feel that they are negatively affecting their health, use the Superpower exercise to get yourself into the state of unconditional love (it won’t matter how you feel or what your thoughts are at the time as the exercise is designed to get you into the physiological state of unconditional love regardless of negative thoughts or current emotions ) and then imagine your loved one being filled with that same power. Replace all frustration and fear with that exercise whenever you think of it, and you will be surprised at the results! Responding in this way instead of trying to convince the person to change their state of mind will probably feel counter-intuitive at first; but keep reminding yourself of the darkness and light analogy. 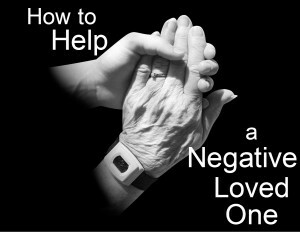 The other person’s negative state is darkness, and your love and positivity is light. Darkness cannot survive in light, but a light can shine in the dark. From betrayal by a loved one, to the range of injustice reported by the press, to tragic world events, it is our natural reaction to feel hurt, angry, resentful, indignant – and a variety of other negative emotions. The idea of forgiving those whose actions are hurtful, unfair and even evil seems a tall order – and actually loving them is incomprehensible. Or is it? The truth is: the best option is to not only forgive all of the wrong-doings to yourself and those in the world in general, but to actually love them. Now, I know that sounds ridiculous in addition to impossible, but if you bear with me, by the time you have finished reading this, you will understand why this is the best option, and you will also know HOW to do it! The first step into understanding this concept is asking yourself the following three questions. These questions apply regardless of whether your anger, hurt and resentment is as a result of personal experience, terrible news stories, or world tragedies. 1. What effect is your anger having on the situation? Will it improve, contribute to, or change the situation in any way? 2. What effect is your anger having on the guilty parties? Can you see a future result in which, in response to your anger, that person will say: “I’m sorry, you’re right, I shouldn’t have done that, and I won’t do it again.”? 3. What effect is your anger having on you? The problem is: emotions are not just emotions, they are physiological states. When you feel an emotion, it is the chemicals that are being produced in your brain and body that give you the sensation of that emotion. Negative emotions produce stress hormones that are designed for life-or-death situations. They put the body into a state of emergency, which includes decreasing or switching off certain functions (including healing and digestion) in order for all focus to be aimed at escape and survival. This is very useful when your life is being threatened; however, the body does not know the difference between an attack by a wild animal and thoughts about injustice or betrayal. The chemicals are the same. Our bodies are designed to withstand short periods of this emergency state; they are not designed to be in this state long-term. By feeling angry, frustrated and resentful about a situation we keep our bodies in that state of emergency – which not only feels bad; it causes a range of physical damage. By answering these three questions, it is clear that regardless of how bad the situation is, and regardless of how evil the perpetrators are, any kind of negative feelings towards them do nothing to change the circumstances or those who are responsible for them, but they do cause you to live in a state that not only feels bad but that is also damaging your body every minute you remain in that state. 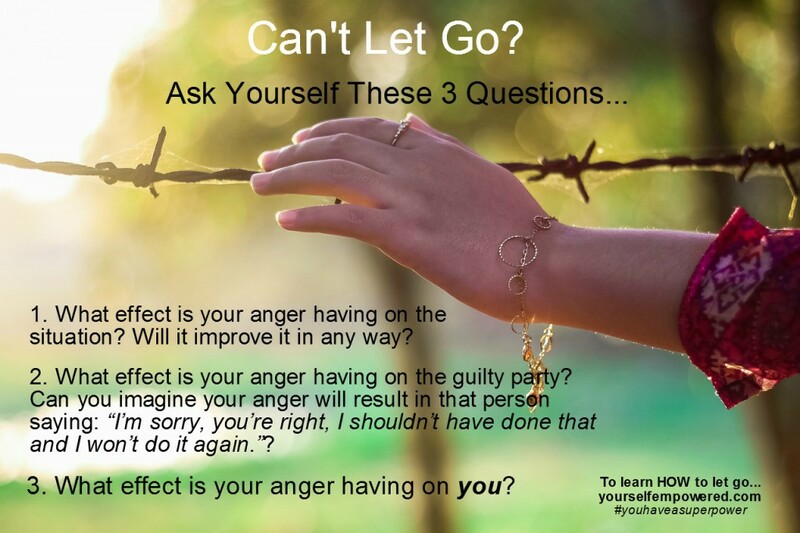 Having answered these three questions, and knowing what you now know about what the chemicals from negative emotions do to your body, if you could flick a switch to change your feelings from anger to forgiveness, would you use it?